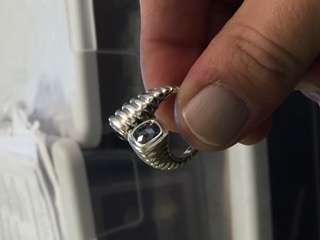 I AM LOOKING FOR ANY INFORMATION ON THIS RING! 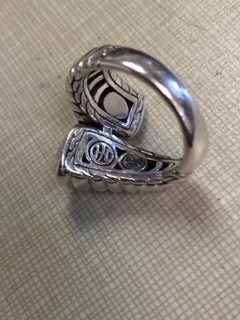 IT IS STERLING SILVER & HAS A HALLMARK THAT LOOKS TO BE A SIDEWAYS 8 / INFINITY SYMBOL. IT ALSO HAS ANOTHER HALLMARK THAT LOOKS TO BE INITIALS OR AN ORIENTAL SYMBOL. 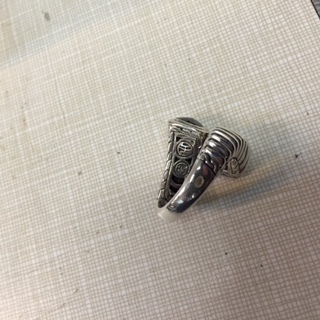 THE RING ITSELF RESEMBLES DAVID YURMAN. I HAVE LOOKED AND LOOKED & FOUND NOTHING; ANY INFO WOULD BE GREATLTY APPRECIATED!